Just-in-Time Learning modules provide multimedia resources for independent study and team collaboration for univeristy professionals contributing to Extension impacts in urban communities. To be relevant locally, responsive statewide, recognized nationally, and connected globally, engage in learning through "bite-sized" Just-in-Time introductory resources. These resources can be accessed as independent modules or used to support participants of the comprehensive Leadership in the City course. 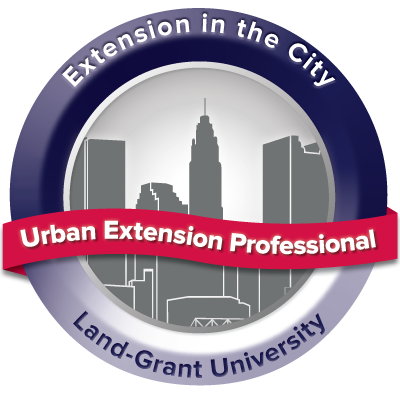 Digitial badges for more extensive urban extension education is being explored at a national level by the National Urban Extension Leaders (NUEL), the Western Center for Metropolitan Extension & Research (WCMER), and Joint Council of Extension Professionals (JCEP). Digital badges assess and validate learning, and hold the potential to help transform where and how learning is valued (MacArthur Foundation). 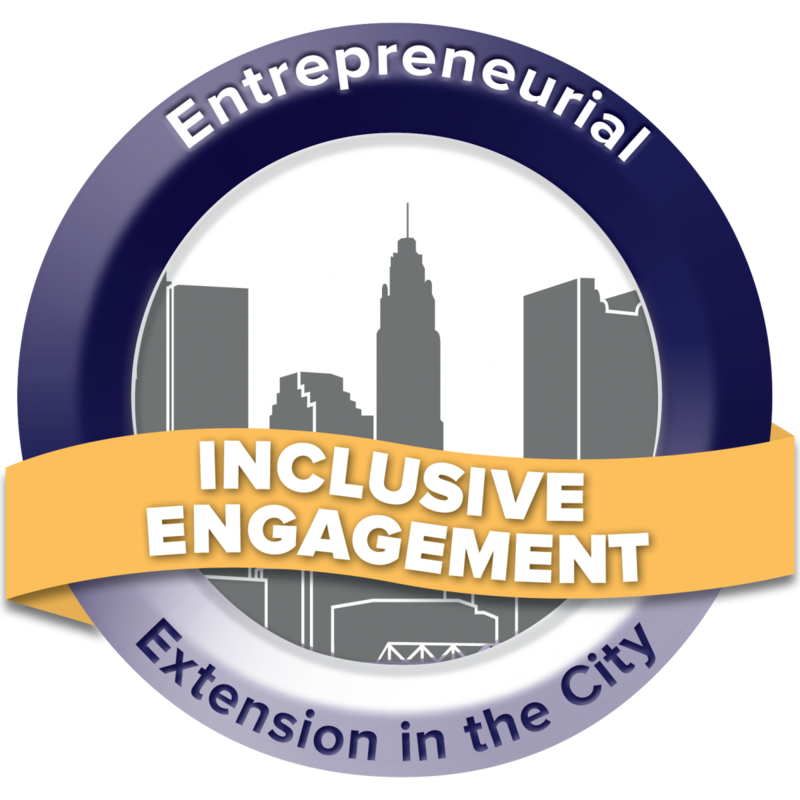 Digital badges can recognize essential competencies for university Extension professionals working in urban communities. Each digital badge micro-credential will focus on a competency, is backed by research, and requires the submission of evidence. 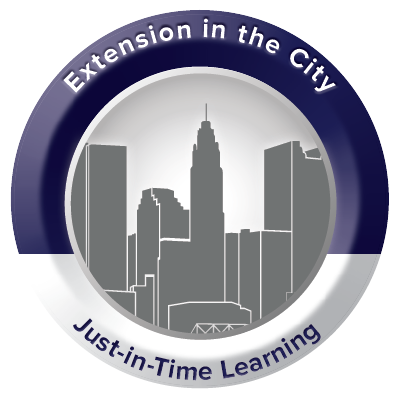 This Just-in-Time learning module quickly orients faculty and staff to help you better understand urban Extension's history, contemporary context, and network of resources. • Follow this link to access the Urban Professional Development (Orientation) resources. • Follow this link to access the Inclusive Engagement resources. 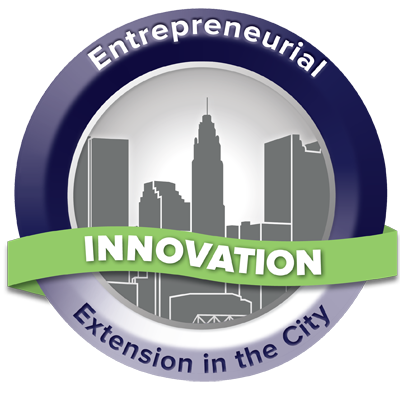 Innovation in Extension addresses the rapidly changing landscape in urban areas throughout the country. Innovation is essential for cities and for universities. In Extension, innovation is reflected in our programs, projects, products, and services; processes and communications with internal and external audiences; research and digital scholarship; and our rich historical approach of participatory innovation as we engage in co-discovery in our cities. • Follow this link to access the Entrepreneurial Innovation resources. Marketing is everything from the customer's point of view (Peter Drucker). 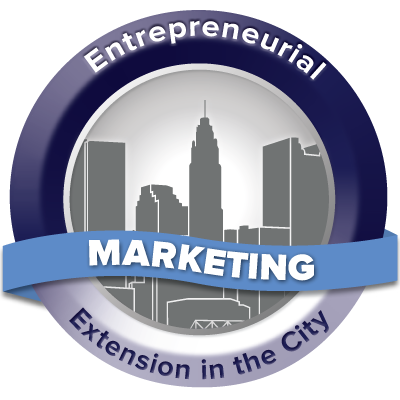 The Marketing in the City module is built upon the entrepreneurial marketing theory and University Extension practices in urban communities. • Follow this link to access the Entrepreneurial Marketing resources. 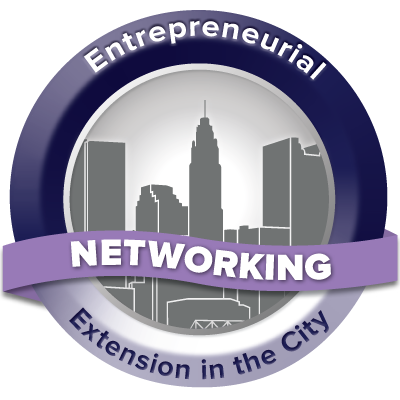 • Follow this link to access the Entrepreneurial Networks resources. In this module you'll learn about management theory and practice from multiple perspectives. Entrepreneurial Management (strategic orientation, resource orientation, management structure, reward philosophy, and entrepreneurial culture). Management Competencies have been identified by Urban Extension Directors around the country. Taking a facilitating approach to the management of tasks, people, and ourselves can influence our results as we plan, organize, implement, and control. • Follow this link to access Entrepreneurial Management resources.